Where will you be February 5? Chances are, wherever you are, you won’t be alone. If the National Retail Federation is right, the night of the big game will be one where a lot of us come together to enjoy some football. And beer. And nachos. And shiny new televisions. That’s because more than half of us will spend the night of the big game at a viewing party. And a lot of that action will be happening in people’s homes. 45 million people will be hosting or attending a game-watching party at home and another 12.4 million will take in the game at a local bar or restaurant. 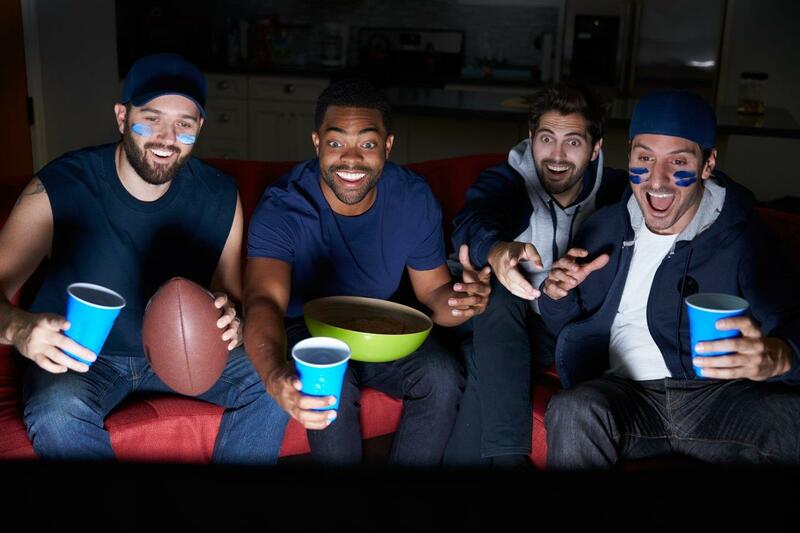 Despite everything you’ve heard for years that the big game is just about the ads, the biggest reason more people are tuning in for the game is, well, the game. 43 percent want to watch some season-culminating, hard-charging, high-scoring football. But, to be fair, another 24 percent will be shushing everyone during commercial breaks, as they’re there primarily for the ads. 15 percent are tuning in to hang out with friends. Don’t ask them what the score is. They’ll have no idea. And 12 percent? They’re there for the halftime show. Which this year is the incomparable Lady Gaga, who is sure to bring excitement even if the game itself is a blowout.